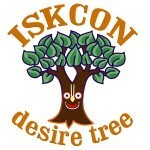 Get connected to all the ISKCON Desire Tree Websites. This app can be run offline. Internet required only for quick syncing of new content, video and audio streaming. This is an app which will assist you in your Krishna consciousness. Share posts with our friends and family using facebook, twitter, whatsapp, etc. Please give your feedback and suggestions.